Republicans dissatisfied with likely nominee Donald Trump failed to force a roll call vote on changing the rules of the convention Monday, thwarting a long-shot bid to keep the business mogul from receiving the nomination. 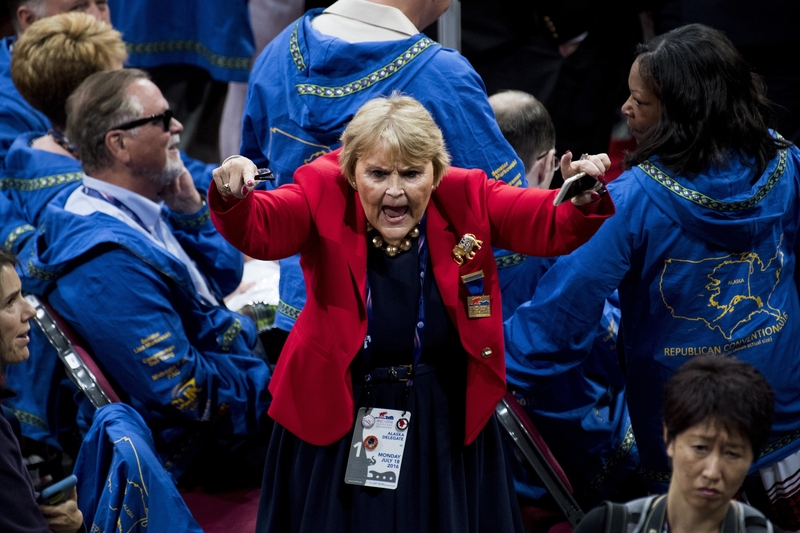 After two voice votes, in which the anti-Trump forces seemed louder, the head of the Utah delegation requested a roll call vote on a package of rules prepared by the Rules Committee. The convention chair announced that there was insufficient support for the roll call vote. "They just blatantly violated the rules," said Former Virginia Attorney General Ken Cuccinelli , a leader in the effort to change the rules. 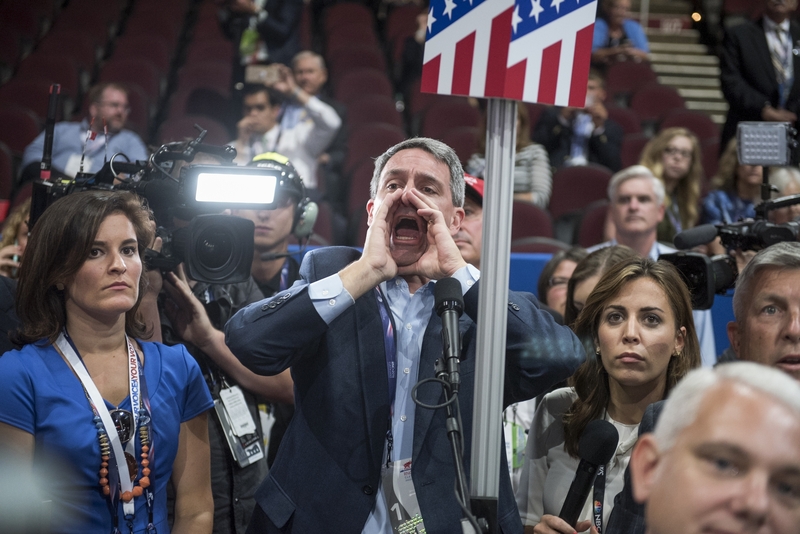 He shouted "Shame" from the convention floor, as the floor erupted into chaos. Some delegates chanted "We want Trump!" In an interview later on CNN, Cuccinelli said the fight was not about opposing Trump, but about establishing "better grassroots rules" that would reverse what he called a centralization of power in the party and create closed primaries in which only registered Republicans can vote. Cuccinelli heads the Senate Conservatives Fund, which aims to elect conservatives to the Senate. Trump campaign manager Paul Manafort told CNN “What you saw today was just some people wanting to play politics with the rule." Seven states needed to submit signatures from a majority of their delegates in order to force a roll call vote. Nine states did so, but the chair said three states had withdrawn their requests. Manafort said there were actually four that withdrew. Sen. Mike Lee said in an interview with CNN that he’s still looking for answers as to which states withdrew their petitions. Lee said that during the voice vote it was difficult to tell whether there were more yays or nays and that was evidence of the need for a roll call vote. Tim Miller, former spokesman for 2016 Republican presidential candidate Jeb Bush, said they "jammed through the rules." Simone Pathe and Lindsey McPherson contributed to this report. Get breaking news alerts and more from Roll Call on your iPhone or your Android.